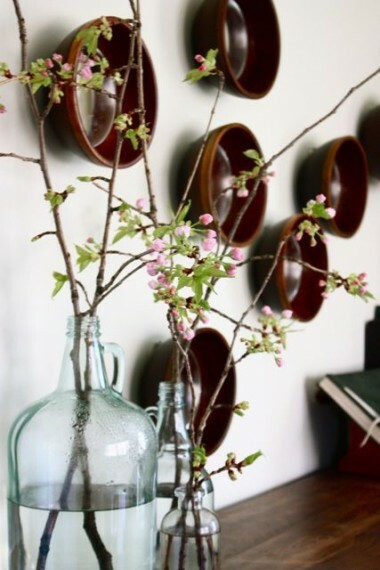 If you still need some inspiration on decorating your home for spring, check out these great ideas from Remodelaholic. 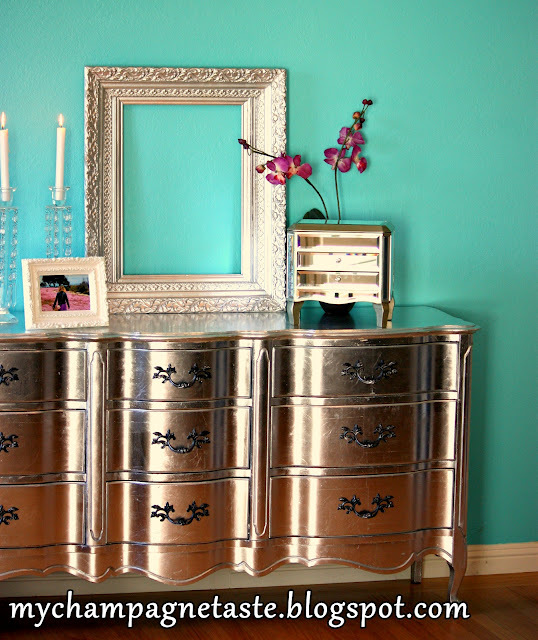 Have you seen this silver leaf dresser from Rasha at My Champagne Taste? All I can say is WOW! Vintage Restyled shared this beautiful chest of drawers. I just love the details and the rich wood top! 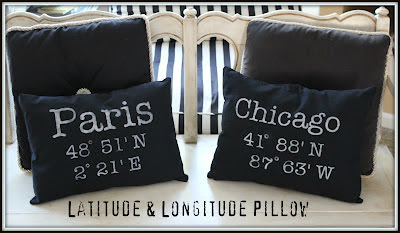 Crafting Rebellion made the cutest latitude and longitude pillows. So many possibilities here! 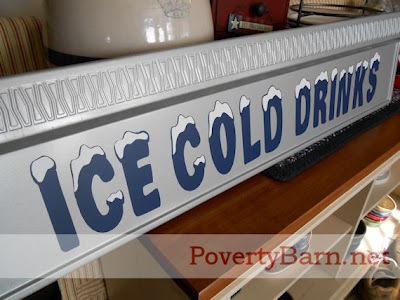 At first I thought this was a wonderful vintage find from Poverty Barn, but she actually made it from a vent cover from an old freezer and some vinyl letters. Clever girl! 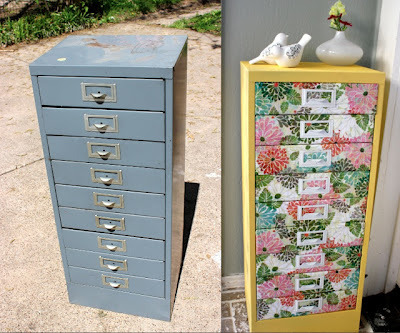 Jane from Urbane Jane shared a wonderful tutorial for turning wrapping paper into art - beautiful and thrifty! Katie from Craptastic needed a new tote bag, so of course she made one! I love the pretty fabric combination! 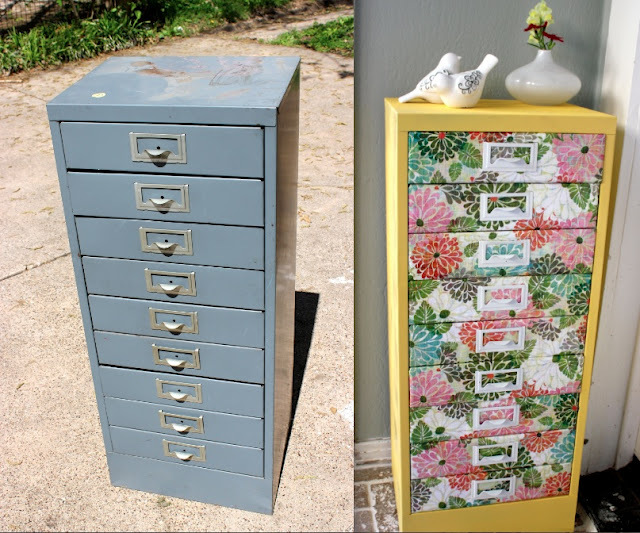 And how cool is this before and after from Samm at Little House in the Big D! 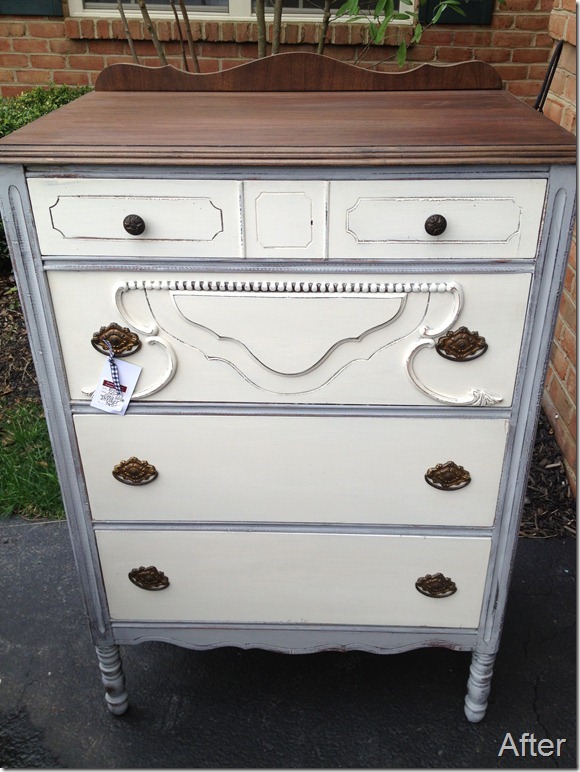 This little piece is just a beauty from Deborah at Confessions of a Craigslist Junkie. 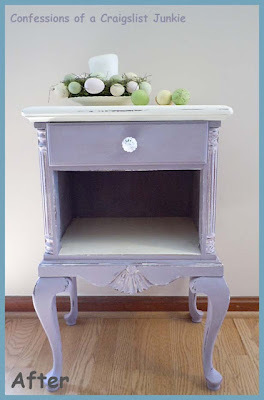 Can you believe it was a freebie because it was in such bad shape! 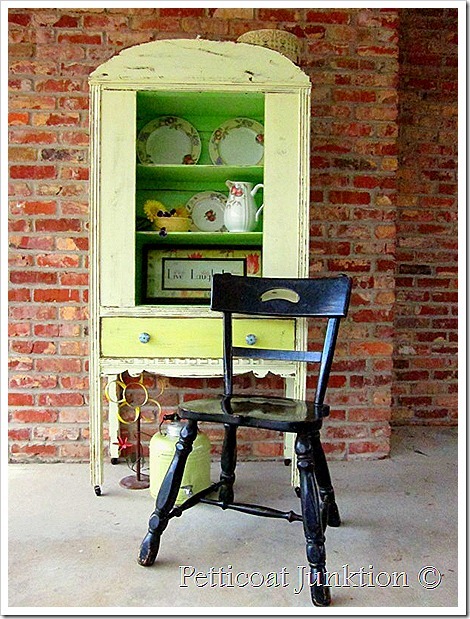 Kathy from Petticoat Junction created the look of spring with the beautiful rustic china cabinet. So pretty! 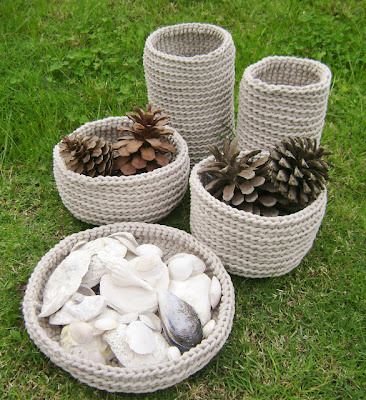 These sweet crochet baskets are from Donata at DK's Craft Cafe. I want one, or maybe a few! And I always love everything about Ann's porch from On Sutton Place and this pretty spring wreath is no exception! Thanks so much to everyone who linked up and linked back. If you've been featured, feel free to grab a cute little button from the sidebar! Sharon ~ thanks for hosting as always. I love your features..that wreath is gorgeous. :) Enjoy your day. Thanks for hosting. Always a pleasure to join in. 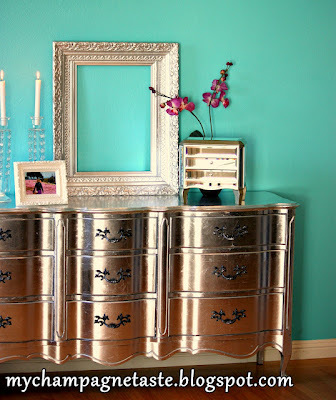 The silver leaf dresser was stunning. Oh my goodness! Amazing features this week! And your following is growing!!! LOVE it! Thanks for letting us share what we love to do. I'm loving all of the other features!! Sharon, welcome back! Did you get your computer fixed or did you have to buy a new one? I love these features Sharon! So glad you got the computer fixed!! Thanks for the feature! Thanks so much for featuring my lavender table Sharon! Especially with such other great features! Thanks for hosting Sharon! great features, love the pillows! Wow! Great features! Thanks for hosting! Glad you're back. I missed your blog! I love the items you share in your post today, but what really catches my attention are the names of a couple of the blogs you featured. Poverty Barn? Craptastic? So Funny! I'm off to visit them. Thanks! Just found your blog and decided to jump in. Cool party. Thanks for hosting. Great ideas...I'm off to check them out! Thanks!